Allow me to explain with an extraordinarily abbreviated history of the last century of American constitutional jurisprudence, followed by an illustration drawn from a case the Supreme Court decided this week. From roughly the 1890s through the 1930s, liberals criticized the Supreme Court on the ground that the conservative majority used the broadly worded text of the Constitution as a pretext for imposing its values on the nation and the states by striking down progressive legislation regulating child labor, worker hours, and the economy more broadly. Then the Court reversed itself. The post-New Deal Court gave Congress and state legislatures substantial leeway. Soon, however, other issues made their way onto the Court’s agenda. By the middle of the twentieth century, the justices were once again being criticized for substituting their values for those of elected officials. This time, however, it was conservatives doing the complaining. They criticized Warren Court and early Burger Court constitutional rulings requiring racial desegregation, rights for criminal defendants, legal abortion, and more. Although the issues and ideological valence had shifted, the core argument had not. 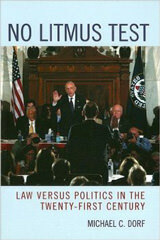 Liberals in the first third of the twentieth century and conservatives in the second half of the twentieth century both complained about judicial activism—a somewhat ill-defined know-it-when-I-see-it term for judges, in the guise of construing the Constitution, substituting their values and policy choices for those of elected officials. 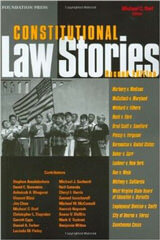 At some point right around the beginning of the Reagan administration, however, legal conservatives began to supplement their charges of judicial activism with another complaint: Liberal court rulings, they argued, were illegitimate because not grounded in the original intent of the framers and ratifiers of the Constitution. By making original intent their constitutional touchstone, conservatives could continue to criticize liberal rulings, but, in addition, as Republican presidents appointed a growing proportion of the federal judiciary, they could now defend conservative decisions striking down liberal laws without opening themselves up to charges of judicial activism. The problem, in this view, was not judicial activism per se, but the wrong sort of judicial activism. The Court had no business invalidating abortion laws, conservatives now argued, but it could and should strike down gun control laws based on the framers’ intent. Original intent was subject to withering criticism. How can we reliably discern what the fractious framers thought even about the issues they thought about, much less about the kinds of questions they could barely anticipate—like whether the police must obtain a warrant based on probable cause before attaching a GPS tracking device to a car? And what to do about the embarrassment that sometimes we do know what the framers intended but cannot stomach it? By the time President Reagan nominated Judge Robert Bork to a Supreme Court seat, that question was most acute with respect to the desegregation ruling in Brown v. Board of Education, which conservatives had come to accept (or at least to realize that they could no longer publicly denounce). 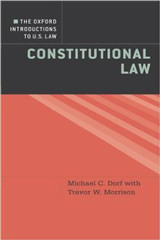 Bork’s answer was of a piece with a general shift that has been ongoing now for three decades and was evident in my debate with Professor Barnett: Self-styled originalists abandoned original intent in favor of what came to be known as “original public meaning.” In this view, even if the vast majority of people who proposed and ratified the Fourteenth Amendment did not intend or expect that it would invalidate de jure racial segregation, that result is required by the meaning of the amendment’s language. Yet once one allows that a constitutional provision can have profoundly unexpected implications, it is hard to see how originalism differs from its supposed rival, living Constitutionalism. And indeed, not long ago Yale Law Professor Jack Balkin wrote a book provocatively titled Living Originalism, in which he argued—without intended irony—that public-meaning originalism and living Constitutionalism are merely opposite sides of the same coin. If so, however, then originalism would seem to invite the old critique of judicial activism. 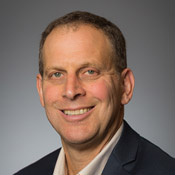 To be sure, some originalists have tried to keep the likes of Professor Balkin out of their club, but it is hardly clear that their own versions of originalism are any more determinate than his. Consider Professor Barnett. He is a libertarian who generally (albeit not always) sees libertarianism in the original meaning of the Constitution. Yet that looks more like projection than history or lexicography. As I pointed out in our debate, and as scholars have explored in depth, the original meaning of freedom of speech (in the First Amendment) and the limitations on the power of eminent domain (in the Fifth Amendment) were much narrower than their contemporary meanings, because libertarianism as we know it today developed after the Founding period, which was better characterized by what we would now call civic republicanism. 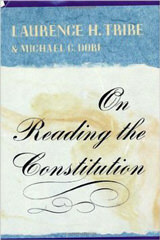 And if one wants to say that the People who ratified the Constitution and Bill of Rights only gave effect to very broad principles, which can be given libertarian content regardless of the framers’ and ratifiers’ subjective intentions and expectations, then one has joined Balkin in admitting that the originalism emperor has no clothes. Accordingly, during Monday’s debate I argued that public-meaning-originalism is mostly not worth arguing about. Mostly, but not entirely. 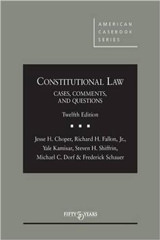 As I wrote in a 2012 essay in the Harvard Law Review, Professor Barnett and like-minded scholars “make originalism respectable by answering objections leveled at ‘expectations-based originalism’—but judges, elected officials, and the public misuse the credibility that these scholars lend to originalism more broadly by relying on evidence about the framers’ and ratifiers’ expected applications in considering concrete cases.” Justice Gorsuch’s solo dissent from Monday’s ruling in Sveen v. Melin provides a brand new illustration of this kind of bait and switch. The Court, in an opinion by Justice Kagan joined by all of her colleagues except for Justice Gorsuch, held that retroactive application of the Minnesota law was permitted by the Contracts Clause. She noted first that the Contracts Clause protects people’s expectations but that the Minnesota law did too, by switching to a default that likely reflects the wishes of most divorcing couples. Moreover, her opinion explained that given how easily an insured can reinstate an ex-spouse as the beneficiary, the law did not “substantially impair any contractual relationship,” and thus, satisfied the test announced in prior Contracts Clause cases. In his dissent, Justice Gorsuch took issue with the substantial-impairment test on the ground that it “seems hard to square with the Constitution’s original public meaning.” Yet despite invoking original public meaning, his historical analysis relied on the old discredited form of intentions-and-expectations originalism. Justice Gorsuch cited a statement made by James Madison at the Constitutional Convention as well as the response Madison gave in public debate to the charge by Antifederalists that the Contracts Clause would forbid valuable legislation; on the contrary, Madison claimed, it would give valuable protection to liberty and property. Notably, Justice Gorsuch did not say anything specifically about what any of the words of the Contracts Clause meant in 1789; his argument was entirely about what the framers and ratifiers intended and expected. Admittedly Justice Gorsuch also made a linguistic argument, but it was not a distinctively historical one. He observed that the Contracts Clause on its face forbids any impairment of contracts, not just substantial impairments. That’s not a bad point, although its logic has disturbing implications. After all, the First Amendment says Congress can pass “no law . . . abridging the freedom of speech,” but modern cases quite appropriately treat that provision as establishing only a very strong presumption against certain kinds of laws infringing free speech, not an absolute rule. Whatever the merits of the textual argument offered by Justice Gorsuch, note, crucially, that nothing about it relies on any distinctively original meaning. It is as true today as it was in 1789 that the phrase “any . . . law impairing the obligation of contracts” by its terms appears to apply to all impairments rather than only to substantial impairments. Justice Gorsuch might have as accurately said that the substantial-impairment test is hard to square with the text of the Contracts Clause as with its original public meaning. That elision points to one further bit of legerdemain employed by originalists. There has been virtually no relevant “semantic drift”—that is, changes in the meaning of words and phrases—since the Founding. Reading The Federalist Papers or the Constitution is nothing like reading Chaucer’s Canterbury Tales in the original Middle English. Yet self-styled originalists often write as though a vast linguistic gulf separates us from the Founding generation. If there are virtually no practical differences between the Constitution’s original public meaning and its contemporary meaning, why bother resisting original public meaning? Once again, we should do so to prevent the originalist bait and switch. When originalists with power—which is to say originalist judges and justices—go looking for the original public meaning of the Constitution, they typically retrieve the framers’ and ratifiers’ intentions and expectations. I have no doubt that public-meaning originalists like Professor Barnett think that was a very bad argument. Yet despite Professor Barnett’s innocent intentions, his arguments have been and will continue to be misused for pernicious ends. Ironically, the practical meaning of original-public-meaning originalism is intentions-and-expectations-based originalism.